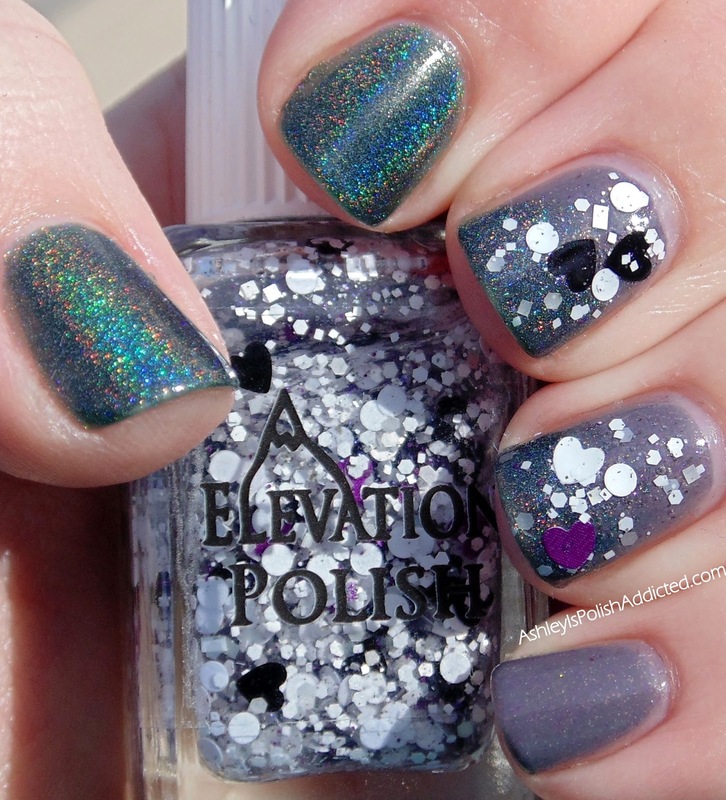 Ashley is PolishAddicted: Elevation Polish Yeti's Broken Heart Skittlette! It's almost Friday! (Or it is already Friday for some of you!) Heading into the weekend I have my first skittlette of 2014! I used all Elevation Polishes for this mani - Yeti's Broken Heart (Limited Edition), Caspian (SBP) and Lost in the Darkness (SBP). I love doing skittlettes! They're fun and they let you try fun combos that you might not have thought of otherwise. I used Caspian on my pinkie and Lost in the Darkness on my index finger and thumb. For my accent nails I did a gradient of Caspian and Lost in the Darkness and topped it with Yeti's Broken Heart. 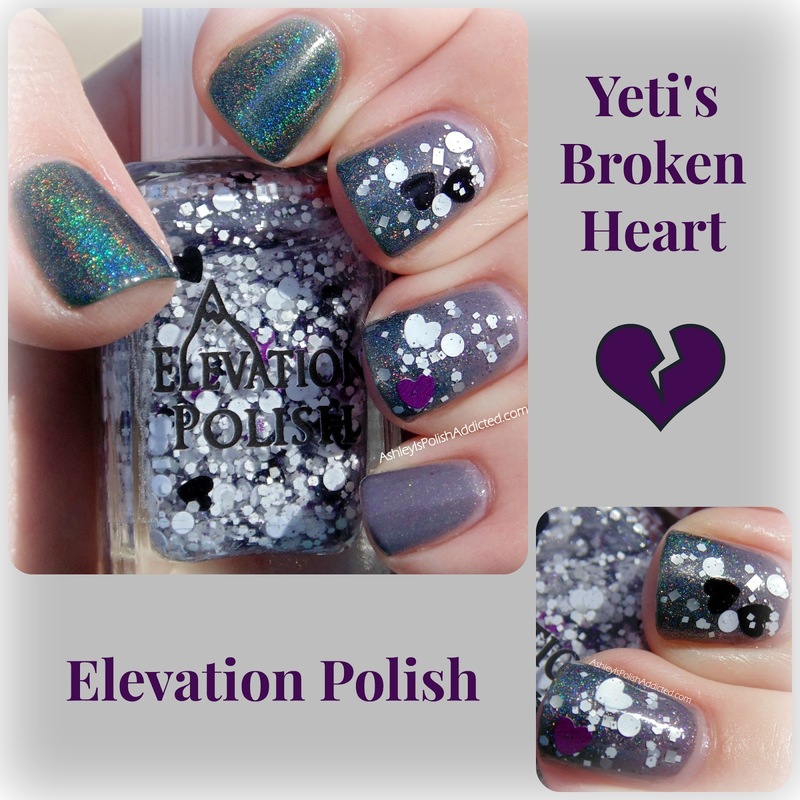 Yeti's Broken Heart is Limited Edition but is currently in stock here. Where can I buy Yeti? Is it still available? Are the SBPs available?